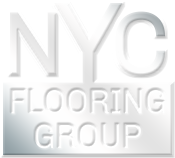 For your New York linoleum flooring needs, NYC Flooring Group carries a full line of linoleum products. We carry a full line of linoleum flooring that looks like tile flooring, inlaid wood medallion designs, and that mirror natural hand-scraped products. Our price match guarantee ensures that no matter where you shop, where you search for linoleum flooring prices in NYC, you won’t find prices lower the ours.